Please feel very welcome to add our free patterns to your basket and checkout. No need to purchase anything at all. Please read below for all you need to know! 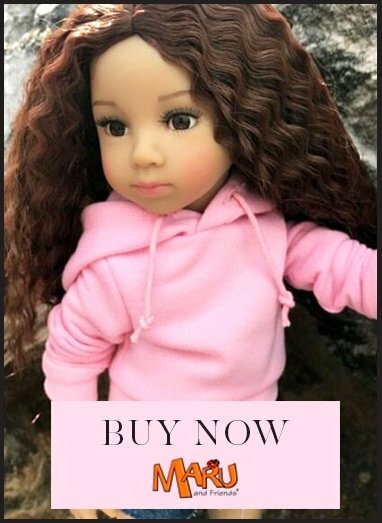 How do I receive my doll clothes pattern file? 1. On the screen directly after checking out, click the order number to open the invoice, then click the 'download' hyperlink. 2. Go to My Account dashboard if you were logged in when you ordered. Select My Downloadable Products from the left. You will find your patterns there. 3. Once you place any order on the website, your order is emailed to you. The invoice will contain a hyperlink 'download' to the pattern. Simply proceed in the same way as for a paid for pattern - checkout with your free downloadable pattern in your basket. It will be available immediately, as above. Will my link to download the file expire? Yes after 5 downloads or after 7 days, whichever occurs first. Can I save the download? Yes after you have checked out go to "My Downloads" and download the PDF and save to your computer. If you are returning to My Doll Best Friend within the 7 days and wish to download the PDF to save, just "Log In" first and then continue as above. Do the pattern pieces need to be resized? The pattern pieces are designed to fit on a standard A4 piece of paper. All you need to do is print the file at 100%. You might find on your printer it says something else about sizing but ultimately you don't want to Scale the pattern you want to print it Actual size. Patterns downloaded from My Doll Best Friend are strictly for personal use. The clothing you create from our free patterns is yours to sell if you wish. Please do respect our copyright and that of our designers and do not re-sell or share the PDF pattern you have downloaded, whether it was purchased or free, either in electronic or paper copy. Selling or giving away the pattern contents violates our copyright and that which we afford our designers.